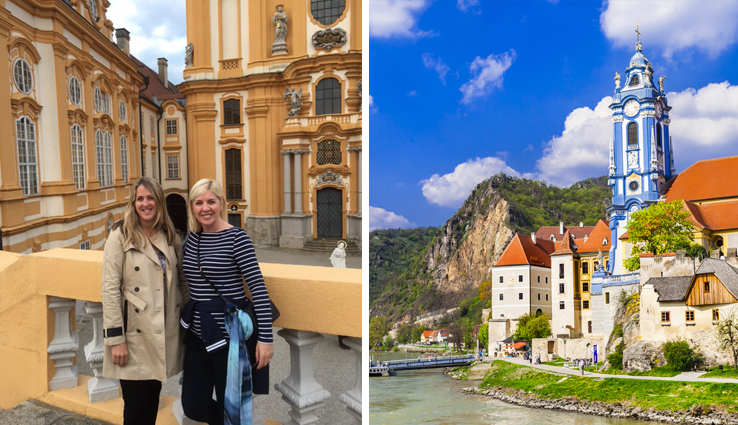 Jo and Margaret from the Planet Cruise commercial team recently enjoyed a luxurious mini river cruise onboard Crystal Mozart with Crystal River Cruises. Know before you go by reading all about their experience below. We arrived at Vienna airport around 3pm and were whisked away in a deluxe air-conditioned Crystal Coach, equipped with Wi-Fi and a coffee machine. We were on the coach for just half an hour before arriving at the beautiful Crystal Mozart. On arrival we were met with a very warm and friendly welcome from four Crystal crew members. They collected our bags from the coach and arranged for them to be dropped off inside our suites. Boarding and check-in took all of 1 minute and was a very swift and easy process. I found this to be much easier than many ocean cruise check-in procedures. I now had my key and was very excited to check out my suite - 119. 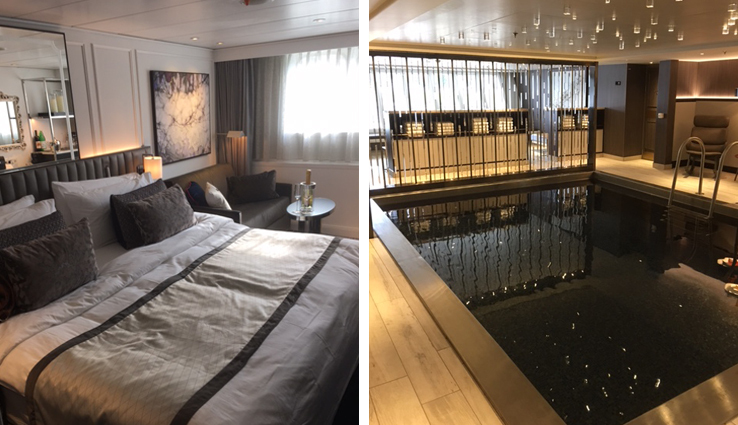 First impressions were spectacular; my suite was very large, featuring the biggest bed I have ever seen and two very big windows allowing for lots of light. I had a fully stocked mini bar and champagne on arrival which was a welcome sight. I was provided with an iPad to control my suite preferences from the television to the air conditioning and even room service requests. The luxurious suite also featured ambient lighting and an electric toilet with heated seat and remote control. Dining on our first evening was a dinner buffet in Palm Court, however this was no ordinary buffet. Starter choices included succulent lobster and leafy green Caesar salad. Main course choices ranged from salmon to steak, pasta and many other sumptuous offerings. We had just enough room to indulge with an array of beautiful looking desserts, crème brulee, strawberries & cream, white chocolate mousse and hot chocolate brownie to name a few. Simply divine. After dinner we enjoyed a few drinks in the Crystal Cove bar and mingled with other guests before boarding a Crystal Coach for our Signature evening event. The reason we had buffet dining tonight was so that we all had time to be ready for our evening excursion. 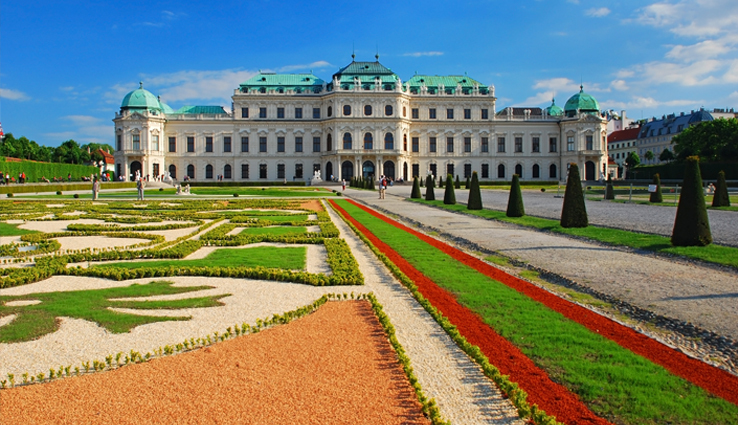 Tonight’s Crystal Signature Event was an out of hours tour of the beautiful Belvedere Palace in Vienna. We began by having a tour of Vienna by coach, and what a beautiful city. 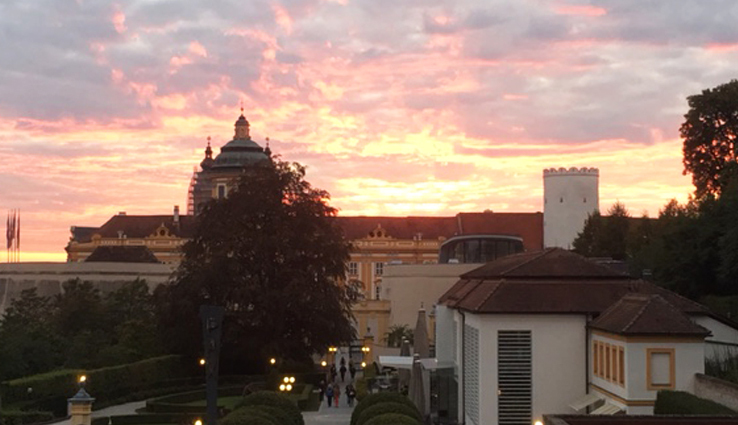 We arrived at Belvedere palace with a Champagne reception followed by an exclusive art tour of the palace with our own guide. The tour finished in the Marble Hall where we were treated to a private Classical Concert by a Viennese orchestra with opera singers and accompanying ballet. We returned to our ship after a fabulous evening and were welcomed with late night snacks and hot chocolate, both proving to be extremely popular amongst guests. Off to bed at midnight, ready for an early start. Today we had breakfast in bed as we had an early bike riding tour of wine region Wachau Valley. We disembarked the Crystal Mozart in Krems ready for our tour through the wine regions of Austria, all the while cycling alongside the Crystal Mozart as she cruised to her next stop. The bikes were amazing and we had the choice of electric or pedal powered, or a combination of both. The scenery was just breath taking and the tour guide was very interesting and informative about each of the places we visited. The whole ride took approx. 2.5 hours and we were incredibly hungry by the time we arrived in Durnstein ready to get back onboard the ship. We decided to have lunch onboard in restaurant Blue, which is a stunning venue. The view from the restaurant at the back of the ship overlooks the river as you sail along the Danube. We were on our way to the next stop on our river cruise, Melk. Tonight’s evening excursion was a private visit to the stunning Melk Abbey, a working monastery with over 1100 windows. This building is amazing and we had another private tour after closing with our very own guide. Our tour included the Monks library as well as the museum housing ancient religious artefacts dating back hundreds of years.. The piece-de-resistance was a private organ recital for Crystal guests in the abbey. This was a truly magical experience, and one which I will remember for a very long time. As we left the Abbey the sun was just setting and the scenery was beautiful. We boarded our Crystal Coach and arrived back onboard ready for our evening meal in the main restaurant and a few glasses of wine from the region in which we had cycled. All in all it was an amazing couple of days and I would certainly recommend a Crystal River Cruise for a truly unforgettable experience.